We call it roadway to haven to bagni san Filippo hot spring because this is one of the most astonish roads of Tuscany. From il Fontanaro eco farm and holiday villas take the road 71 to Chiusi Chianciano Terme and before Chianciano terme turn left to the brown sign of MONTE AMIATA. 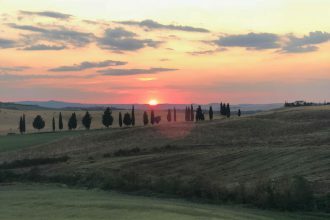 One of the great private gardens of Italy, Tuscany‟s La Foce‟s “absolutely breathtaking” and “fabulous” gardens are open every Wednesday afternoon for guided tours beginning on the hour at 3,4,5 and 6 pm (April-October, in winter at 3 pm only). Admission: €10. The beautiful wisteria arbor has by now burst into bloom. 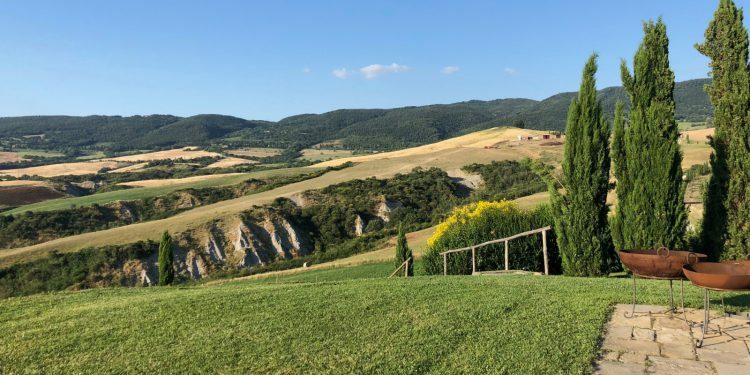 Also to be enjoyed are the splendid views over the Val d’Orcia and the iconic zigzag road that links farms to the vill You can admire the use of travertine marble throughout the garden in the fountains, pathways and sculptures. Second stop: IL DOPO LAVORO, restaurant for a quick snack. The best thermal bath of Tuscany from our opinion! To admire the free thermal hot springs with white stalattites go to Loc Bagni San Filippo inside the green park of bagni san filippo THE GATE IS FRONT OF THE MAIN ROAD BAR WITH TABLES OUTSIDE. SIGNE DIRECTION IS “FOSSO BIANCO” Click here for the local map. 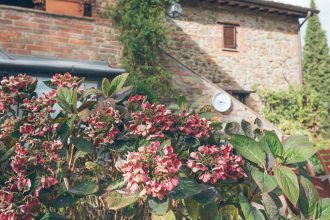 If you like after the Roadway to heaven to Bagni san Filippo you can easily visit also Bagno Vignoni, Montalcino and Sant’ Antimo. Jumping in the Etruscans baths of Tuscany!